Employee performance reviews are undergoing an evolution from annual evaluation to something else. It seems there are almost as many different schools of thought about the most effective way of grading an individual’s performance as articles written on the subject. Continuous feedback, stacked ranking, peer evaluation, quarterly goal setting, SMART, 9 Box are just some the methods companies use, but no one has yet settled on the perfect process to generate a productive assessment of any given worker’s value to a company. However, there are some approaches where the drawbacks are more evident than others. One method of employee evaluation that is falling out of favour is the stacked review, whereby assessments are focused on both the top and bottom groups of employees. A favourite employee evaluation method of large US multinationals, the downsides of this review system are legion: it neglects attention on the middle group of workers; it can penalise workers even when they are performing well, if, for example, the lowest 10% are still hitting performance targets; and it encourages the worst tendencies of middle management, who can wait for the performance review to come around instead of working to improve employee performance in a proactive manner outside of evaluation periods. Having it on an annual basis only helps foster lower morale and dread amongst the workforce, and its fundamentally arbitrary nature seems to be rather outmoded when compared with modern attitudes to human resources. The more toxic aspects of employee evaluation stem from feedback framed in the context of a worker’s personality. This is a totally subjective set of criteria to judge an individual against, and critiques couched in this language can all too easily come off as personal and vindictive. Problems that employers feel are rooted in attitudes or personality traits can be addressed, as long as management can articulate how they affect the quality of work. Feedback can be given effectively without the dangers of imparting personal slights when the information is related to performance. Don’t mix performance feedback with pay negotiations — Trying to combine these two areas in the same conversation can overshadow the developmental possibilities of such a dialogue, and make proceedings even more stressful for staff members. If both conversations need to be had, make sure to carry them out separately, and that the employee knows both points are separate from each other. Don’t compare employees to each other — This is a recipe for generating further conflict into the workplace. 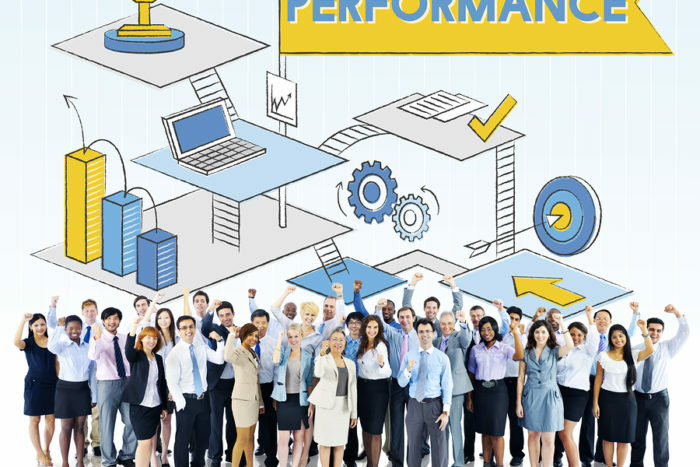 It’s not a particularly constructive way to frame an employee’s performance either. Offer goals and objectives tailored to the candidate’s specific situation, to make them feel better supported by management. Always offer solutions — Without coaching, any feedback process is simply passive criticism. Any negative feedback should include constructive avenues for workers to improve their performance. If management and employees are to benefit from the evaluation process, then coaching is a must, and not only to improve a lagging performance, but to help workers reach even higher. Add some positivity — Constructive criticism can always be leavened with positive feedback. It benefits the confidence of the employee, and helps motivate them to further improve their performance. More and more large companies are openly abandoning the annual employee evaluation. While some schools of thought approve of disposing of reviews entirely, this may be a case of throwing the baby out with the bathwater. There’s still a case for employee reviews in the workplace, but they need to serve the employee as much as they do the company. With an open mind and some forward thinking, a sensitive and improvement focused employee evaluation process can help both staff and employers get the best out of each other and lead to a stronger and more productive workforce.